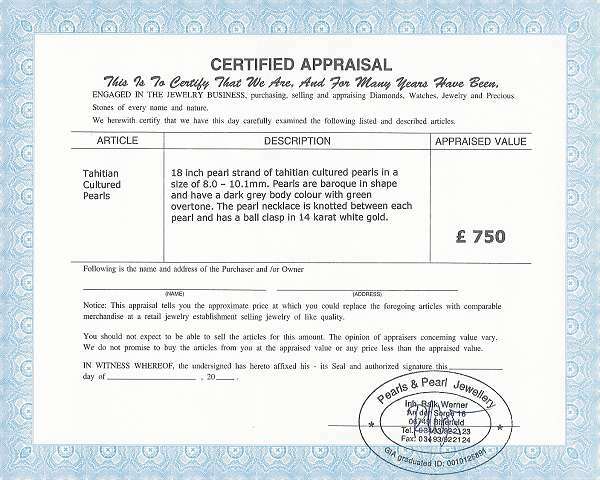 Pearls baroque at Selectraders: This baroque pearls have a size of 8.0 - 10.1mm. The necklace length is 18 inches. 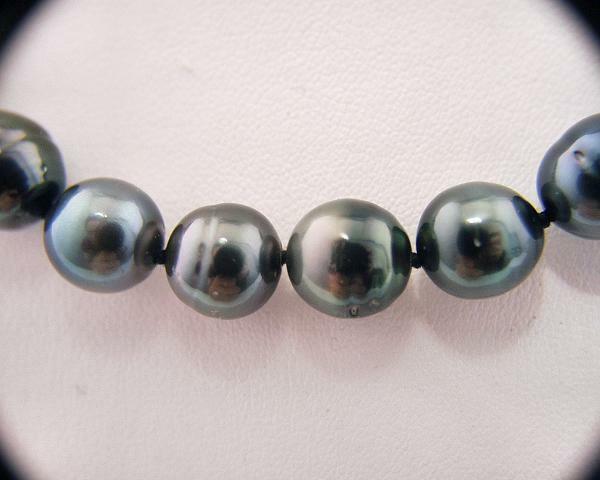 The AA+ quality pearls have a dark gray bodycolour and a green overtone. 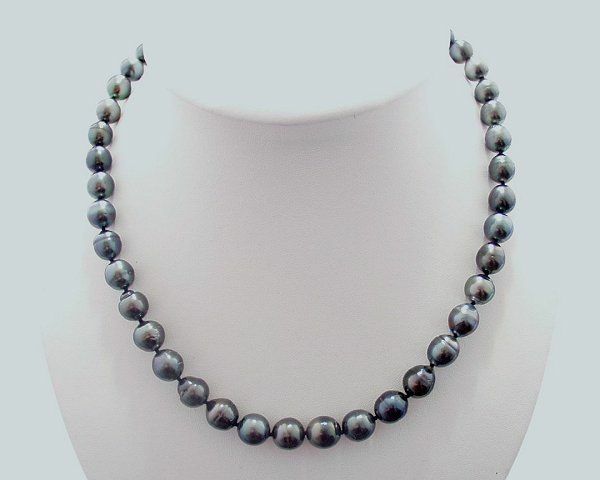 The pearls have a very good luster. 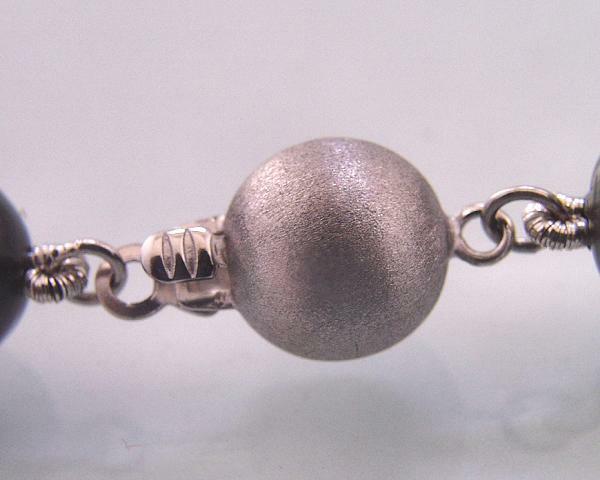 The necklace is finished with a ball clasp in 14 karat white gold. 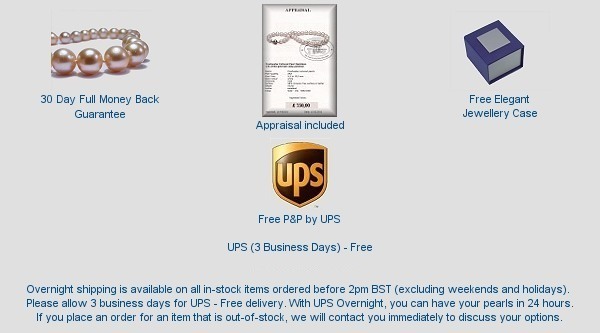 The shown necklace is a unique piece - no reserve.